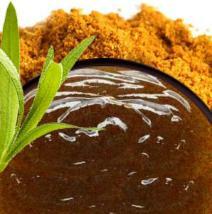 Click the button below to add the Turbinado Brown Sugar Body Scrub #Men's Skin# to your wish list. Ultra-rich and packed with nutritive ingredients from fresh cut sugar cane, this luxurious body scrub gently sweeps away dead skin and debris, leaving skin smooth, radiant and polished. 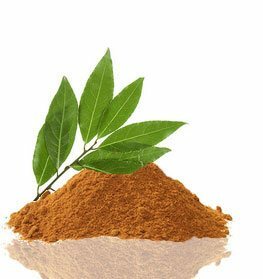 Used for centuries and loaded with antioxidants and alpha hydroxy acids, Turbinado brown sugar is the perfect base to revitalize skin by gently exfoliating and buffing away dullness. Enhanced further with Kukui and Hazelnut oils, both used since ancient times for their ability to leave skin feeling luxurious, softer and silky smooth, revealing younger-looking skin. It is nutritively scented with pure Orange Peel, Lavender, and Lemongrass Essential Oils to create an amazing, fragrant bouquet for the senses. This scrub will nourish a male's skin, making it smooth, soft and healthy. Nutritive body scrub made fresh in the USA. Gentle, wholesome formula is safe for all skin types. Removes dead skin and debris while leaving skin smooth, radiant and even-toned. No Mineral Oil, No Petrolatum, No Silicone, No Artificial Fragrance, No Artificial Color. Hazelnut and Kukui Nut oils are vitamin rich, lasting moisturizers. Apricot Kernel Oil is a lightweight oil that gently moisturizes skin. Shea Butter has moisturizing properties, reduces inflammation and nutritively smooths skin. Jojoba Oil is a nutritive face moisturizer that promotes skin health. Grapeseed Oil helps with skin tightening and is a general moisturizer. Wet skin first, then apply a small amount to the skin, working the scrub in a circular motion to exfoliate. Rinse gently and pat dry. You'll love the way it leaves your skin feeling rejuvenated and moisturized. "Do not use the scrub on the bottom of your feet, as your feet will then be slippery when you get into the shower, should you chose to use this in the shower." • This scrub is very coarse. We suggest that this product be applied to the rough areas. • This product should be used at least once a week. • Moisturize skin afterwards with either our Skin Calming and Healing Lotion or our Nutritive Body Lotion. Prunus Armeniaca (Apricot Kernel) Oil, Aleurites Moluccana (Kukui Nut) Oil, Sucrose (Turbinado Brown Sugar), Butyrospermum Parkii (Shea Butter), Simmondsia Chinensis (Jojoba) Oil, Vitis Vinifera (Grapeseed) Oil, Psidium Guajava (Guava Fruit) Extract, Borago Officinalis (Borage) Oil, Corylus Avellana (Hazelnut) Oil, Carica Papaya (Papaya Fruit) Extract, Citrus Sinensis (Orange) Peel Oil, Lavandula Angustifolia (Lavender) Oil , Cymbopogon Flexuosus (Lemongrass) Oil, Tocopherol (Vitamin E). I love this scrub! It does not leave my dry skin with a greasy film and it makes my skin soft and smooth. The scent is intoxicating in a good way. This is my absolute favorite body scrub!! I love this sugar scrub because it's all-nutritive And I love that it's a sugar scrub (not salt) so it doesn't burn if you just shaved your legs! It rinses off cleanly without any residue, and leaves your skin soft. Oh wow. This stuff is SO wonderful. It smells so good and my skin was so incredibly soft for days after. No slick or sticky residue and no dryness. Even my husband noticed! I scrub it on damp/dry before I get in the shower to rinse it off. Now I use it once a week. Will definitely buy again. The best sugar scrub I have ever purchased. Love this - great nutritive exfoliator and leaves my skin smooth and soft. Loaded with exfoliating particles and you don't need a lot to get a great cleansing. Highly recommend - will definitely buy again. I was amazed how clean and refreshed my skin looked after using this nutritive scrub product. It was also gentle on my normally very sensitive skin. Ultra-rich and packed with nutritive benefits from fresh cut sugar cane, this luxurious body scrub gently sweeps away dead skin and debris, leaving smooth, radiant, polished skin. Used for centuries and loaded with antioxidants and alpha hydroxy acids, Turbinado brown sugar is the perfect base to revitalize skin by gently exfoliating and buffing away dullness. Enhanced further with Kukui and Hazelnut oils both used since ancient times for their ability to leave skin feeling luxurious softer and silky smooth, revealing younger-looking skin. This product is great for after shaving. Smells great, and feels like combining both a deep clean with moisturizing. Highly recommend. Ok so I'm a guy and I bought this one instead of a different brand. When I used this product in the shower it felt kind of weird because i've never done body scrubs. It felt weird at first but it became more natural. Rinsing yourself off is easy but you want to make sure you leave nothing behind. When I finished i felt my skin it felt so smooth and I loved it. I thought it was just because I still had the water running but when I turned it off and dried myself it was still there. I'm a college student and money is tight, but I am not going to spend $4 on soap that hurts my skin, I know I am going to buy more when it runs out. I like this scrub! It makes me feel really clean and fresh. I can scoop this product up and apply it with ease! I am in love with this scrub! My mom gave this to me as a gift. I used it all over my body. It smells delicious and it keeps my rough skin smooth.